Starring a well known actor, or does it? 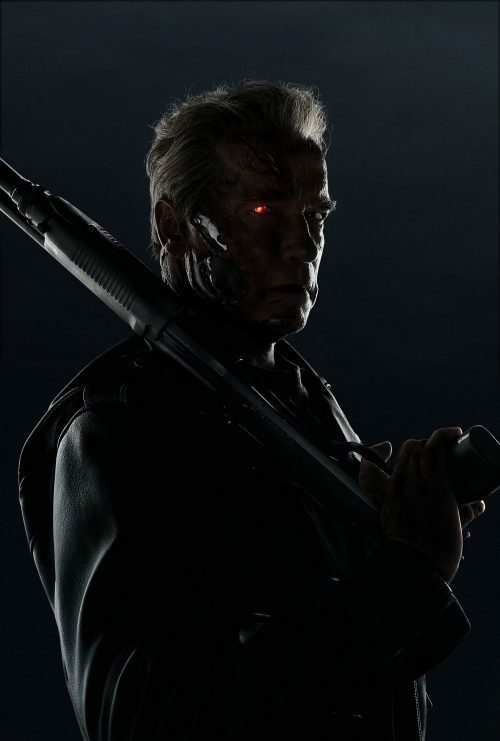 Two new things hit my in-box earlier about the upcoming Terminator Genisys. One is actually good. The below “TV spot”. The other is, well another thing all together. It’s the first full shot of Arnie. Not playing a terminator, well sort of, but a character called The Guardian. A world where the original terminator, 30 years older and fatter helps protect Sarah Connor where a plethora of new terminators try and stop them. The trailer seems to show that the new Terminator is the same model as in Terminator II a T-1000 model. The image of Arnie, on the other hand doesn’t look that badly photoshopped but with the amount of plastic on his face takes away from that fact. It sort of draws your eye towards his.